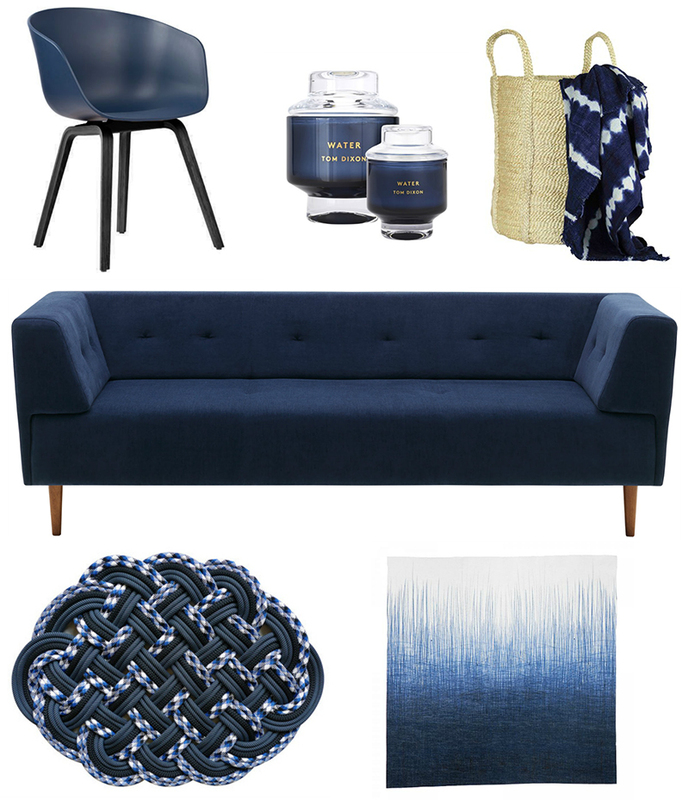 I have a soft spot for navy, so I'm happy to see some dark blue hues popping up here and there lately. 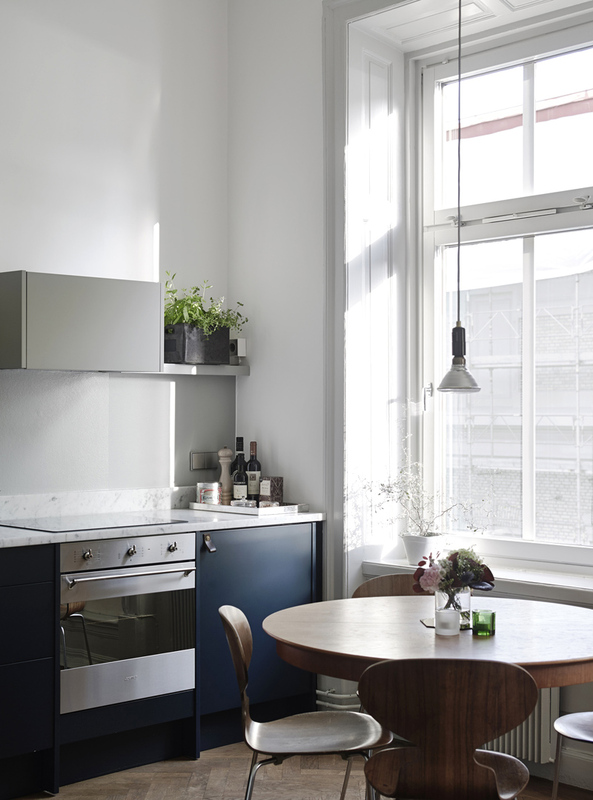 The kitchen below features beautiful blue cabinetry which looks amazing alongside the marble benchtop and wood elements - love those herringbone floors! 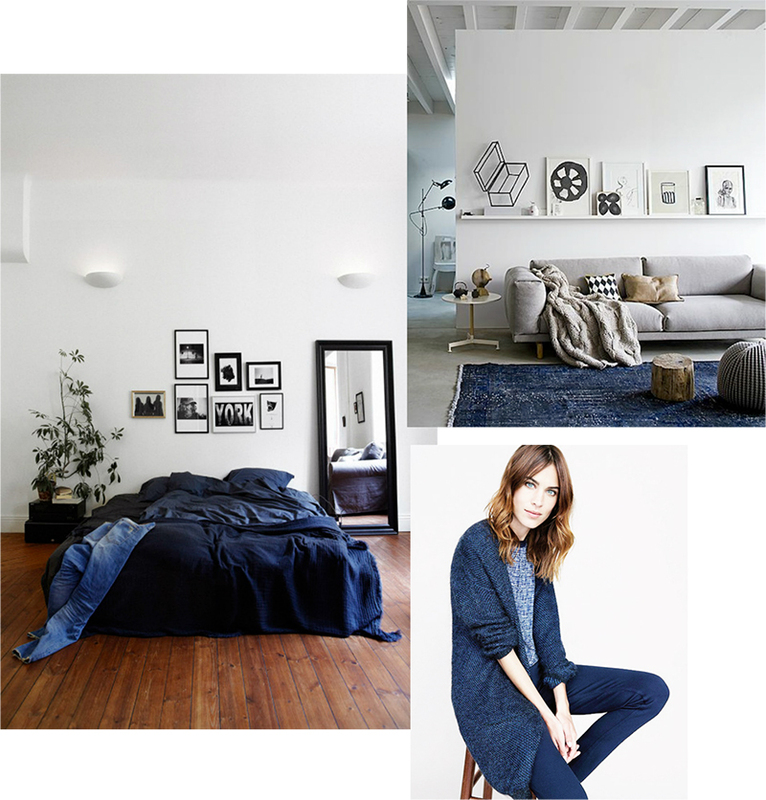 Dark blue adds drama and depth to neutral and monochrome interiors, as shown below with the bedding and rug. We have a very dark blue sofa in our downstairs living room which provides a subtle yet striking contrast against the black and white palette. When it comes to the wardrobe, nautical stripes immediately spring to mind for summer, while in winter I love dark blue denim and knits. 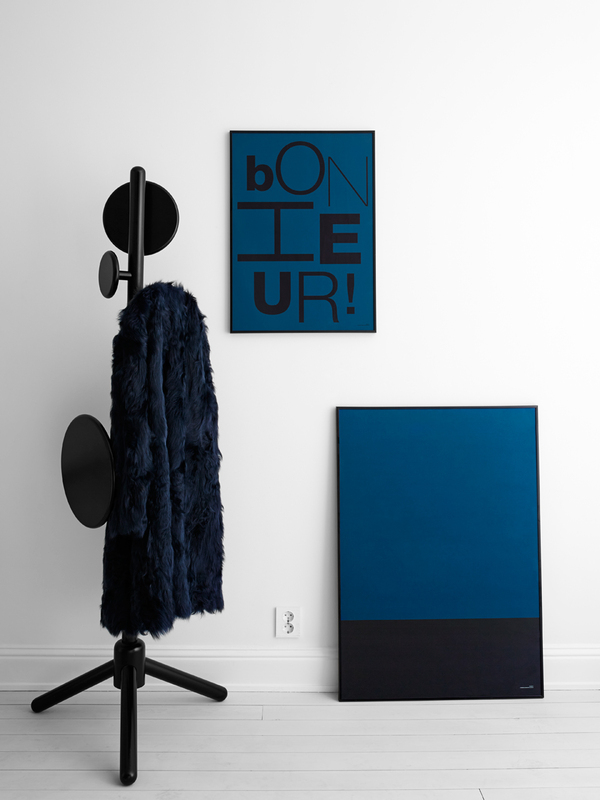 Here are some more ideas for adding dark blue accents throughout the home. I've picked out a few current finds to finish off, including an amazing sofa from Bo Concept who have just launched a stunning new collection. 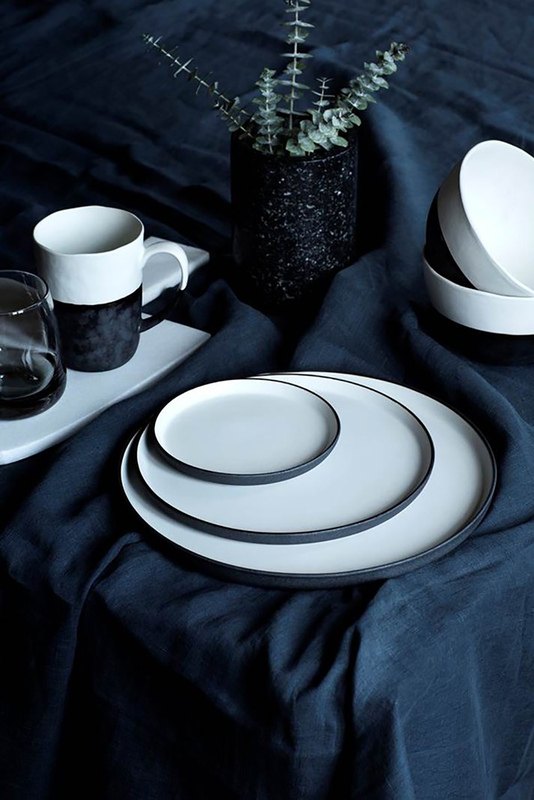 I'm loving the navy and indigo hues that are around at the moment too, I definitely think it'll be a prominent feature in our new house :) It's the perfect blend of contemporary and classic I think! 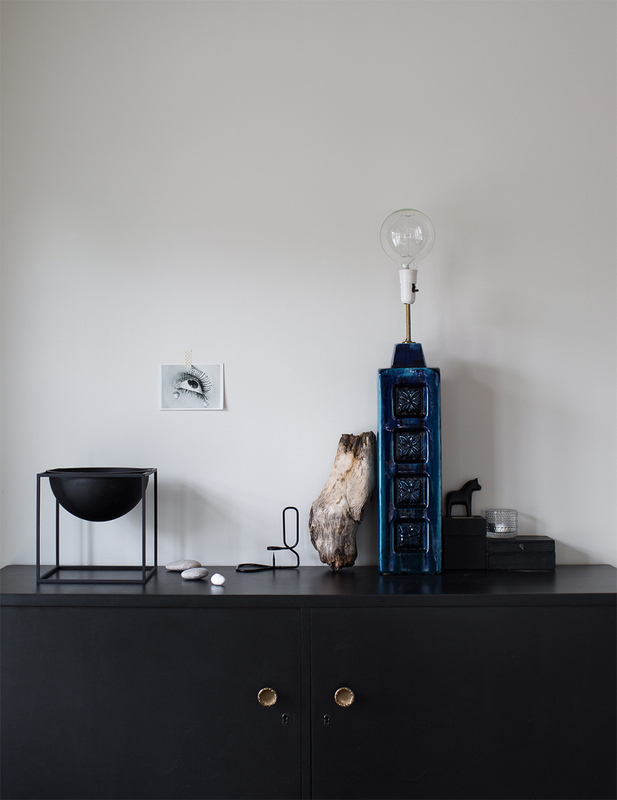 Love the Tom Dixon candle too, just wish TD pieces weren't so painfully expensive!